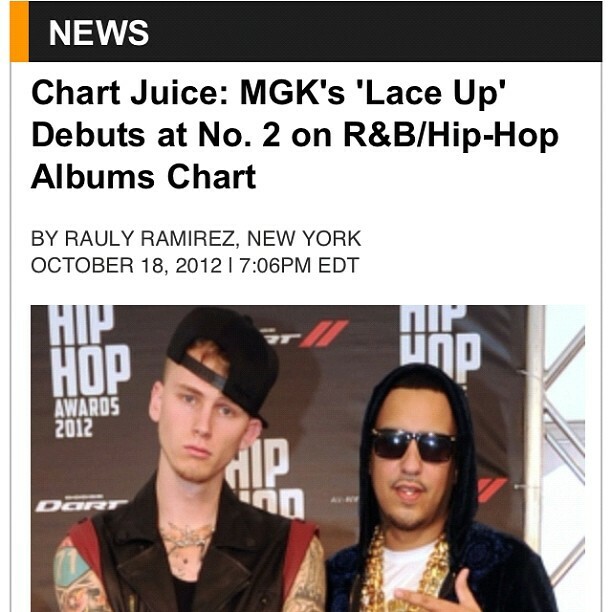 MGK’s first album sold exactly 50,000 copies in its 1st week of being out which earned him the #2 spot on the Billboard R&B/HipHop charts and #4 overall. If you aren’t aware I produced track 12- On My Way on this album and it is my first official album placement. It has been an awesome feeling and I have to thank everyone for the support & love they have shown me and the track. Hopefully this is only the start and more things are on the way! !